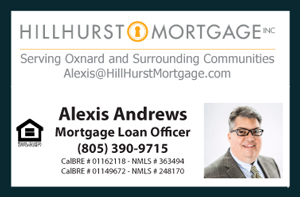 David Tovar with EXIT Realty inviting everyone to come out to my open house this Friday April 17 from 1 p.m. to 4 p.m. at 2315 Jardin Dr. Home for Sale in Oxnard, California. The house is located in a very desirable neighborhood in Oxnard. Perfect for a first time home owner. Come see the full potential. Everyone one is welcomed. Let's talk Real Estate. The house is located in a desirable neighborhood in North Oxnard near Rio Lindo Park and several schools. Easy access to the 101 Freeway is a plus. Rose Shopping Center is walking distance offering major supermarkets, restaurants, coffee shops and more. The open floor plan allows for maximum functionality which includes a Master Bedroom with it’s own bathroom. The wood and gas fireplace is located in an ideal place for family gatherings around a warm fire. Additional living space was added with an enclosed patio ideal for family entertainment.